Ms. Pytlik was most recently Senior Vice President, Chief Compliance Officer and Head of US Regulatory Compliance at HSBC Global Asset Management (USA) Inc. in New York. Yvonne has a long and distinguished career in compliance as the Chief Compliance Officer, Head of Compliance and Risk and Chair of Compliance Committees at a number of high profile firms, including KPMG, Deutsche Bank and Virtus Investment Partners, responsible for overseeing all compliance matters enterprise-wide for investment advisers, mutual funds and broker dealer businesses. Yvonne is a recognized ERM and compliance industry expert, and frequent speaker addressing Governance, Risk and Compliance issues in the asset management industry. She is a senior executive and one of industry's most highly sought after strategists in compliance risk management for financial institutions. 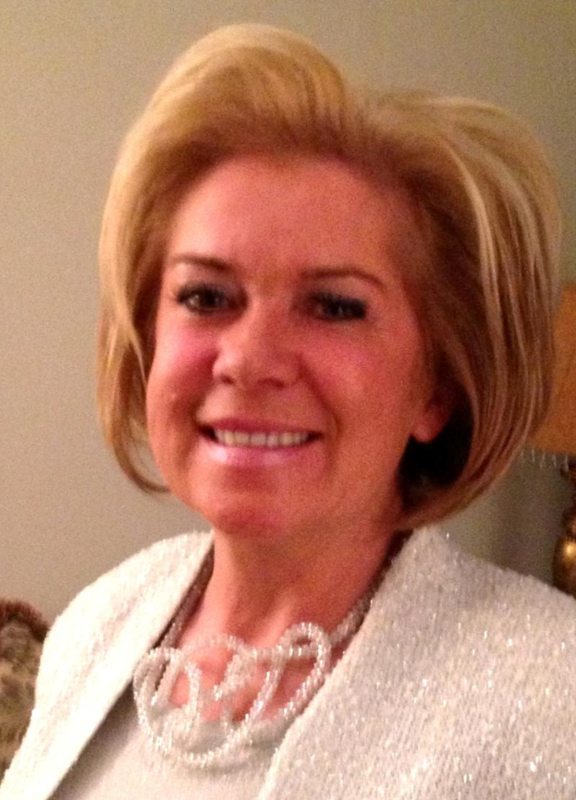 Yvonne serves on the Board of Governors and Executive Committee at RMA NYC. Yvonne is a founder serving on the Board of Directors at Global Compliance Risk Management Corp., a strategic advisory and compliance risk management firm. She was previously Head of Compliance and Corporate CCO at Virtus, and Deputy Head of Global Compliance, Risk Management, and Strategic Planning at Deutsche Bank AG. During her tenure at major financial services firms, Yvonne made numerous significant contributions to the firm's overall compliance organizations, including the development and implementation of global compliance risk management functions in the Americas, Europe, and Asia-Pacific regions. Yvonne held senior positions in risk management practice at KPMG and in internal audit at major financial institutions. She has an M.B.A. from Suffolk University and a B.S. in Management from University of Massachusetts. Jacqueline Joyston-Bechal is the Head of Compliance and Ethics for BNY Mellon Corporation and its affiliates and subsidiaries. In this role she is responsible for establishing and overseeing the global Compliance and Ethics Programs and is the central contact for the various regulatory bodies on these matters around the world. She manages a group of over 500 Compliance professionals including the Ethics Office which administers the Code of Conduct, Conflicts, the Hot line and Personal Trading Program for the Corporation. Prior to this role, Jacqueline was Head of Compliance for BNY Mellon across Europe, Middle East and Africa. In this role she was responsible for 90 Compliance staff for the region covering the four pillars of Compliance: Advisory, Monitoring, financial crime/KYC and regulatory change and reported to the CCEO and the EMEA Deputy Chair. Jacqueline is a lawyer with twenty-five years' experience in the financial services industry. Prior to joining BNYM in January 2016, Jacqueline was Head of Legal for the Markets, Banking and Notes Directorates of the Bank of England, responsible for legal services to the areas of the Bank that run the Bank's balance sheet, risk management and internal investigations. Jacqueline started her career at Clifford Chance as a banking litigator and financial services lawyer. Jacqueline has a Joint Honours Degree and Masters from the University of Oxford in Philosophy and Spanish and postgraduate law course and diploma from the College of Law in London. Jee Kymm, Chief Compliance Officer & Chief Operating Officer - Compliance, Citibank N.A. 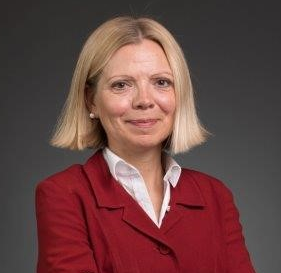 Jee Kymm was appointed as the Citibank N.A Chief Compliance Officer in May 2018 where she has global responsibility for overseeing compliance risk for Citibank N.A (CBNA), including proactively identifying, assessing, reporting and mitigating compliance risk across CBNA, and helping to preserve the sanctity of the CBNA charter. In addition, Jee is the Chief Operating Officer for Independent Compliance Risk Management with a mandate to oversee activities to resolve outstanding regulatory matters and focus on building a sustainable, best-in- class Compliance function. Jee joined Citi in February 2012 and is based in New York as the Chief Auditor for Strategy, Quality Assurance and Methodology. 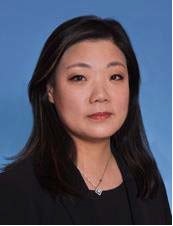 Before joining Citi, Jee was the Chief Operating Officer (Managing Director), Group-wide Internal Audit and Head of Transformation and Operations at Prudential PLC. Prior to Prudential Plc, Jee has held key internal audit positions in a number of organizations including Lloyds Banking Group (Head of Audit Operations), Barclays Internal Audit (Quality Assurance Director), The Northern Trust Company (Head of Audit for Investment & Wealth Management) and trained with Coopers & Lybrand, London in the Investment Banking Division. Jee is a Chartered Accountant (UK) and a graduate of the London School of Economics & Political Science with Bsc (Hons). 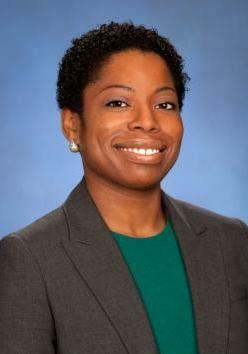 Felicia Rector is Co-Head of Americas Securities Division Compliance. She is also Chief Compliance Officer of Goldman, Sachs & Co. as a swap dealer and futures commission merchant, and Goldman Sachs Bank USA, Goldman Sachs Mitsui Marine Derivative Products, L.P., Goldman Sachs Financial Markets, L.P. and J. Aron & Company as swap dealers. Felicia is a member of the Firmwide Suitability Committee, Goldman Sachs & Co. Risk Committee, Goldman Sachs Financial Markets, L.P. Risk Committee and J. Aron & Company Risk Committee. She joined Goldman Sachs in 2005 as a vice president in Securities Division Compliance within Global Compliance. From 2005 to 2008, Felicia was head of the Americas Control Room. Prior to assuming her current role, she was deputy head of the US FICC Compliance team. Felicia was previously co-chair of the Legal, Global Compliance and Internal Audit Black Network. She was named managing director in 2010. Prior to joining the firm, Felicia worked at Sullivan & Cromwell LLP and Kemesia, LLC. Felicia serves on the Advisory Board of H.E.A.L.T.H. for Youths, Inc.
Felicia earned an AB in Applied Mathematics from Harvard University in 1994 and a JD from Columbia Law School in 1999. 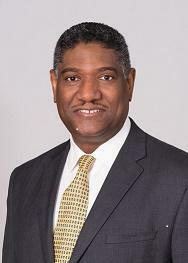 Ken C. Joseph, Esq., is a Managing Director and Global Leader of Duff & Phelps, LLC's Disputes Consulting practice. He also heads the firm's Cryptocurrency and Blockchain Task Force. He focuses on serving clients who need informed and proven strategies to successfully navigate a broad spectrum of threats arising from investigations, compliance examinations, litigation, and crisis scenarios. Ken served with distinction for a total of over 21 years at the U.S. Securities and Exchange Commission, including service as one of the inaugural supervisors in the Division of Enforcement's specialized Asset Management Unit, and most recently as a senior officer in the Commission's Office of Compliance Inspections and Examinations. He has investigated, supervised, and resolved numerous complex and high-profile cases involving a wide variety of alleged violations of federal securities law by market professionals, individuals, and by public and private entities. Ken's extensive docket of cases and compliance examinations at the SEC included alleged violations of the anti-fraud provisions, breach of fiduciary duty, false or misleading disclosures, manipulation, misrepresentation, misappropriation, and non-compliance with the recordkeeping and custody requirements, as well as the anti-corruption, data privacy and cybersecurity obligations under the federal securities law. In total, his enforcement and examination matters on behalf of the SEC resulted in the payment of over $1 billion in monetary relief to shareholders, investors and clients. He was responsible for conducting numerous parallel investigations and successful actions in conjunction with federal, state, and local law enforcement authorities. And, he led his team's response to regulatory concerns involving reinsurance products, special purpose vehicles, credit default swaps, auction rate securities, cyber-intrusions, Brexit, high-yield bonds, fee and expense allocations, undisclosed conflicts, and share class selection, among others. Ken holds a Juris Doctor degree from the University of North Carolina at Chapel Hill School of Law. He also earned B.S., MBA, and post-graduate degrees in Marketing Management and International Finance from St. John's University, New York. He completed executive education programs at Georgetown University Law Center (through the SEC) in Securities and Financial Regulation, and at Harvard University, John F. Kennedy School of Government, Executive Education in Strategic Management of Regulatory and Enforcement Agencies. Ken is admitted to practice law in the U.S. District Court for the Southern and Eastern Districts of New York, as well as the States of New York and Connecticut. Brian S. Strauss is an Executive Director and Senior Credit Officer at Natixis North America LLC, where he and his team have responsibility for managing the firm's credit risk to Financial Institutions and Structured Credit counterparties. Brian also serves as Chairman of the Risk Management Association - New York Chapter (RMA NY) and he is a former Chairman of the Capital Markets Credit Analysts Society (CMCAS). Before joining Natixis, Brian worked for several years as a consultant at PricewaterhouseCoopers and then eDelta Consulting, advising financial institutions on risk management, regulatory and compliance-related matters. 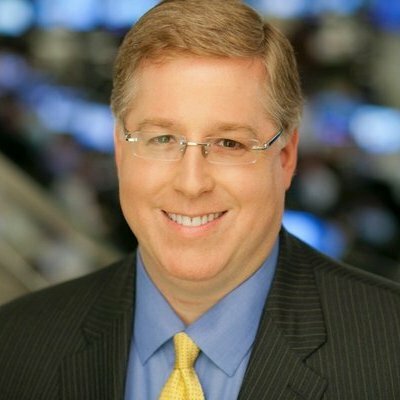 Prior to joining PwC, Brian served as Managing Director and Chief Risk Officer of KCG Americas LLC, as well as Deputy CRO of KCG Holdings, Inc. Brian previously served as CRO of Knight Capital Group, a predecessor firm, where he had global responsibility for credit, market and operational risk management. Before being promoted to this newly-created role in September, 2012, Brian had served as Chief Credit Officer of the firm. Brian was previously a Managing Director and Senior Credit Officer at UBS Americas Inc., where he served as Co-Head of Hedge Fund Credit in the Americas. While at UBS, Brian was the primary risk liaison to the domestic and international equities businesses and the exchange-traded derivatives businesses globally. Prior to joining UBS, Brian was employed by Bank One N.A. as a Managing Director and Capital Markets Credit Officer, where his responsibilities included managing the bank's exposure to hedge funds, securities firms and money managers, and overseeing the ISDA documentation group. Brian received a B.Sc. in finance from Georgetown University and an M.B.A. in finance from the Leonard N. Stern School of Business at New York University. Your membership category will be verified after receipt. If an adjustment is needed due to selecting an incorrect category at checkout, RMA NY Chapter is authorized to place a charge or credit on the card number supplied. All payments must be received prior to admission to meeting. THE OFFICIAL CUT-OFF DATE TO PRE-REGISTER is Monday, May 13th 2019. Cancelations must be received 48 hours in advance to qualify for a refund; cancelations after that time and no-shows are liable for payment.